Tulipomania: sale from March 8-14, 2013! 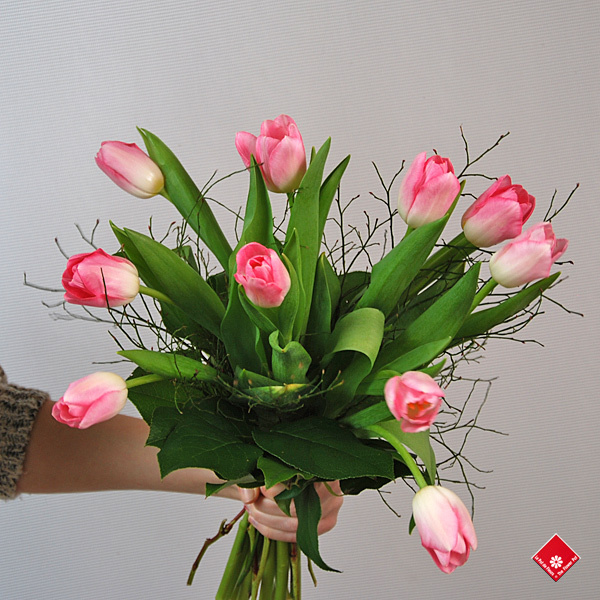 Tulipa, the botanical name for tulips, is derived from the Turkish word tulpend or turban, which the flower resembles. Many varieties were grown in Turkey long before they were introduced to European gardens. Clusius, Professor of Botany at the University of Leiden in Holland, is credited with first growing tulips from bulbs sent by the ambassador of Turkey. They were soon widely distributed throughout Europe. The bulbs became so popular that “tulipomania” developed early in the 17th century. People began speculating in bulbs of new colours and unusual shapes and paid extravagant prices for them. The craziness reached its zenith in the years 1634 to 1637, in the period known as "The Foolish Tulip Trade," "The Wild Tulip Speculation" or "Tulipomania." Buying and selling tulips became not just a hobby for the very rich, but an activity for all kinds of craftsmen as well. By the 1620s, tulips were being sold by the bulb, but in 1634, people switched over to selling rare varieties by weight, using the grain, the same unit of measure used by goldsmiths. In 1637, tulip trading crashed and wealthy people were reduced to poverty overnight. Today, nearly half of Holland's 47,150 acres of flower bulb farms are planted with tulip bulbs. From March 8 to 14, 2013 our "Precious Tulips" product will be 20% off! Watch out for coupon code instructions on our homepage banner. Questions? Call us at 514-938-1234, visit our site, or visit us! It may surprise you to learn that the tulips for which people paid fortunes were not the solid-colored tulips that are growed today. The tulips most sought after in the 17th century were the so-called "broken" kinds known as Bizarres and Bybloemens. These were feathered and flamed rose, scarlet, purple and brown on a white or yellow ground. Thank you Madeline! It's always nice to learn something new.